One early October evening, a young woman comes across an enigmatic man, Marius Millet. Her name is Jolene Munroe, twenty-years-old, and a college student who has traveled to Geneva, Switzerland to study for a year. The two develop a relationship that soon intensifies, despite a secret that Marius keeps from her, which he desperately tries to conceal from her in an effort to cling to their relationship. He is married with two teenage daughters, and it’s a choice Jolene must make as she struggles with her own desires and the incessant pull from her own conscience. Then there’s Anna, Jolene’s eccentric roommate, who finds another troubling way to cope with her own sense of inadequacy and vulnerability. And it’s the three voices present in this novel that evoke the raw emotions of not only themselves, but the ones who are caught up in their lives. Theresa Oles presents her novel, October Night, thriving with emotional turmoil. As three characters watch their lives crumble, Oles captures the emotional entanglement that coincides disaster. Readers follow the journeys of Jolene, Anna, and Marius as they try to create better lives for themselves. Jolene, the main character of the novel, is a young girl who travels to Geneva for a year abroad. She's a very quiet girl, having grown up with an unloving mother and a deceased father. She struggles to know her place in the world, subconsciously assuming that money will bring her happiness. (Jolene's studying business because of the monetary gain she thinks will come from it.) When she meets Marius, a fifty-year-old business man, she starts dating him, unaware that he is married, with children not much younger than herself. I liked Jolene as a character but, due to her upbringing, she was a weak character. I wanted her to show more backbone though readers will connect with her based on her naivete and troubled childhood. 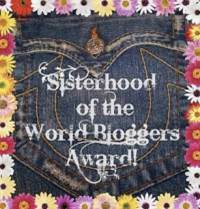 The journey that Jolene travels through the novel is a perfect arc of personal evolution. I was proud of who Jolene had become, her mistakes becoming the foundation of the reader/character bond. Marius and Anna were hated characters for me. But (most of) their actions had (some) logic behind them, I must admit. Marius is a husband who doesn't recognize his wife as the woman he fell in love with. Not that his wife wasn't a bit on the demanding side, but marriage is work and it seemed that Marius didn't have it in him to keep up. Or try. And Anna. I tried to like Anna. I wanted to like her, but I couldn't get past the isolation she put herself through when she wasn't around drugs. The only people she associated with were other drug addicts and it pulled her into a downward spiral that she couldn't escape from. Oles did an amazing job at crafting a story so emotionally raw that it constantly brought different feelings to the surface. 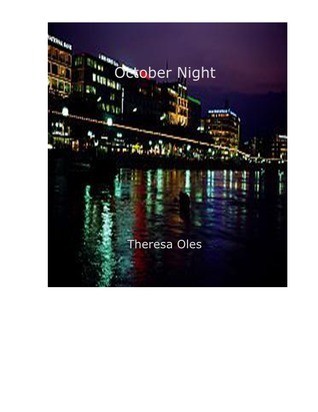 October Night is a novel full of character study. Oles wrote impossible obstacles in the paths of these three characters, not once giving them an easy way out. The only issues I had with the novel were the time lapses and point of view change. I found them a bit confusing at times with no real indication that time or narrator had shifted. I recommend this book to anyone who loves to see characters grow and evolve throughout a gripping story.